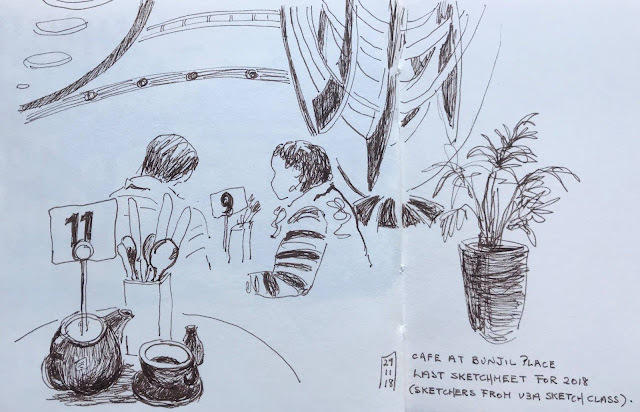 Last sketchmeet for 2018 with sketchers from my Casey U3A sketchbook class. Hardly managed to get a sketch in amidst the coffee and chat. Bunjil Place, Melbourne.